College is hard. Schoolwork, student organizations, social life, romantic relationships, career possibilities, finances, friendships, apartment life — balancing all of these aspects of college life can feel like an impossible challenge. There’s no secret recipe or exact equation to follow for college either. But somehow, students seem to simply “figure it all out” — a common phrase used amongst college students that translates to, “I have no idea what I’m doing, but it’s going to be fine.” There’s no need to fake being perfect. The open admittance to being disheveled and unorganized at all times should give college students some relief — right? 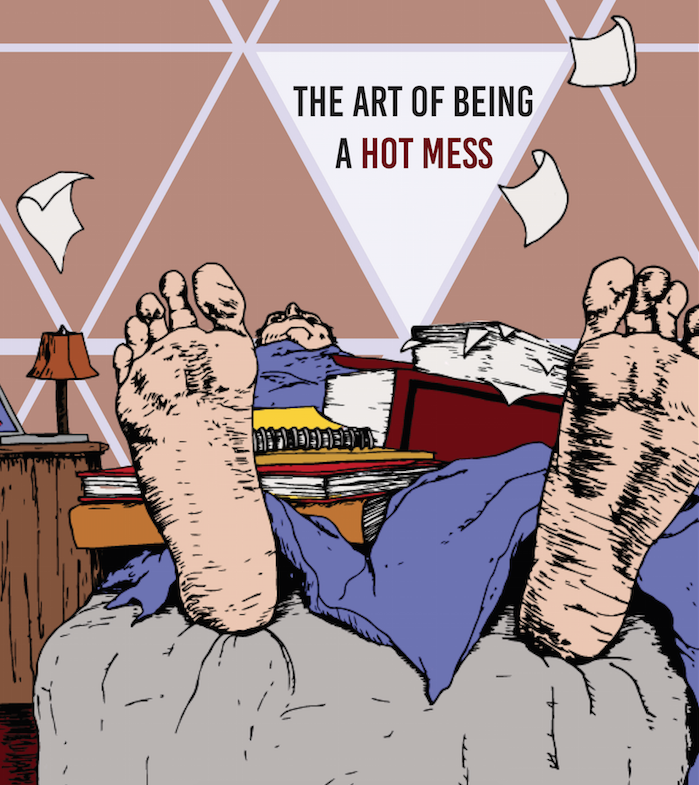 Being a hot mess — a person who embraces the perfectly imperfect lifestyle — is an art form. It takes the right amount of self-acceptance accompanied by the confidence to tackle whatever life happens to throw. Skipped one too many classes? That’s okay. Woke up 30 minutes before class and forgot to do the homework? No problem. Need to crank out an essay within a few hours? Challenge accepted. 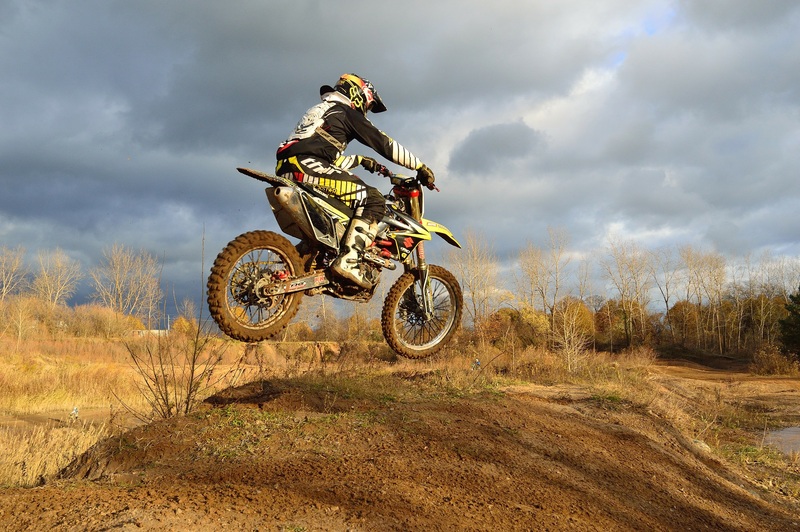 There is no set schedule — and that’s okay. The daily routine of an average college student varies, but many college students have a notoriously erratic schedule with series of naps and cups of coffee replacing full REM cycle sleep (especially during finals week) and maximum stress levels (namely about the future). According to the American College Health Association’s yearly National College Health Assessment (NCHA), 44.7 percent of students felt tired, “dragged out or sleepy” three to five days out of their past week. These aspects of average college life — groggily rolling out of bed or ineffectively managing relationships — tend to fall into the same categories typically associated with being a hot mess. Take the media for example. Perhaps one of the biggest examples of a hot mess has been rise of comedian and actress, Amy Schumer, whose movie “Trainwreck” was acclaimed by many as one of the best movies of 2015 due to Schumer’s relatable hot mess of a character. Other popular portrayals are in TV shows like “Broad City” and “Modern Family” where hot messes are beloved characters. In Hollywood, hot mess is trending, but on social media it’s another story. Newsfeeds can have conflicting views. One popular post with a joke about having too much alcohol for noon on a Tuesday will be shared while the next post may be that one friend whose life always seems filled with unattainable adventures. The pressure to appear picture-perfect at all times while showing hints of hot mess humility can be exhausting. A couple of months ago, popular Instagram model Essena O’Neill brought this subject to light. Her account featured scenic shots of beaches along with O’Neill’s smiling face. Her 580,000 followers were floored one day to find that O’Neill deleted most of her posts and edited the leftover posts’ captions highlighting just how imperfect her seemingly flawless life was. The model exposed how companies paid her for posts that promoted products ranging from clothing to tea. In one post, O’Neill is on the beach, looking back at the water after a swim. The picture captures her enjoying a relaxed morning after her run. However, the tone the picture captures changes upon reading her edited caption. The story went viral, prompting a brief conversation about the disparity between reality and social media. O’Neill explained throughout her other posts that, despite her high follower count and likeability online, she felt hollow and lonely. Although most college students don’t have 500,000+ followers on social media, a lot get caught up in the world of social media on a smaller scale with 1,000+ followers or the ability to gain 100 likes on one post within an hour of posting. And despite efforts, it’s hard not to compare one’s average life to a seemingly perfect one — some hot messes appear to be more glamorous than others. HOT MESS OR SERIOUS BLUES? 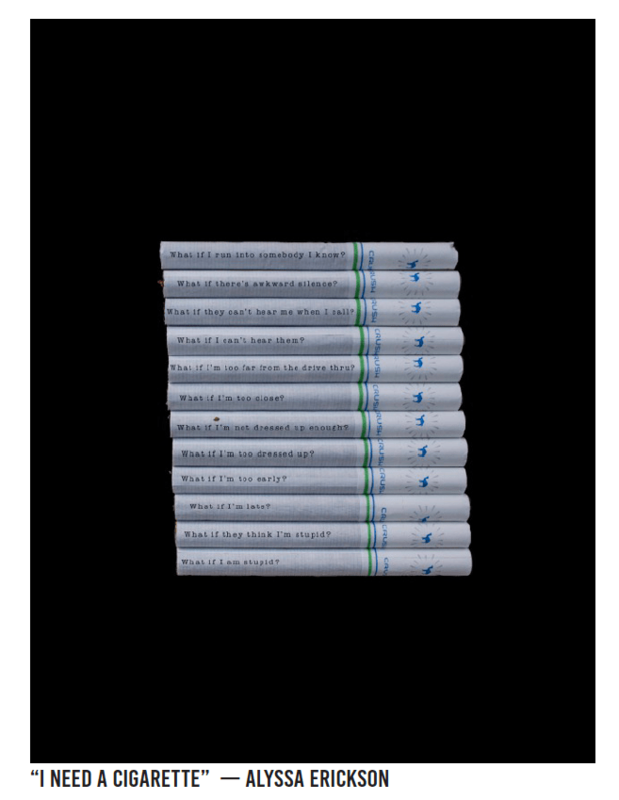 As college students figure out life, being a bit of a mess is almost inevitable. College is the epicenter where students are encouraged to make mistakes and figure out what they want out of life. While the process is supposed to be a great life experience, it can unfortunately can become a source for anxiety and depression. 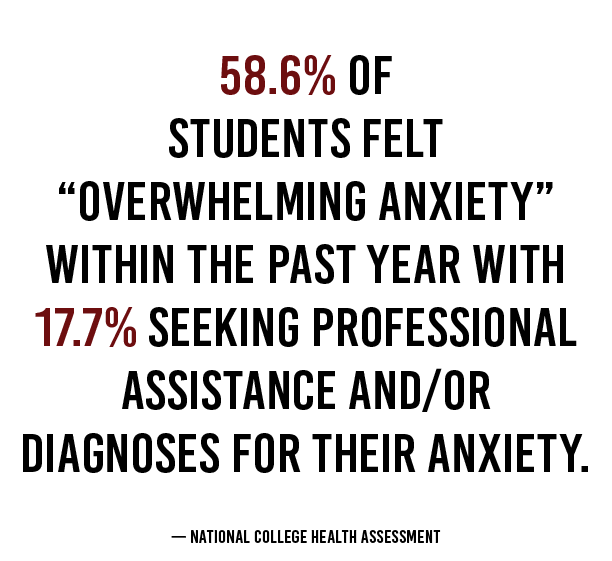 According to NCHA, 58.6 percent of students felt “overwhelming anxiety” within the past year with 17.7 percent of students seeking professional assistance and/or diagnoses for their anxiety. A little over 36 percent of students felt “so depressed that it was difficult to function” within the past year, with 14.9 percent of students seeking professional assistance and/or diagnoses for depression. Some time s it’s hard for college students to decipher if their struggles are more of a hot mess situation or something deeper since the stress college students are under tends to be a situational factor (i.e. finals week). Staying awake until 3 a.m., rolling out of bed for class, surviving solely on coffee, the impending doom of not having things together — hot mess or something more? As students climb towards upperclassman classification, the stress of the “real world” tends to weigh heavier and heavier with each year. Questions of possible career choices, graduate school and financial support start to pile on, leading to induced stress levels and higher possibilities for anxiety or depression. So is the degree worth all the mental headaches? According to a study conducted by the Pew Research Center, 88 percent of millennials feel — based on what they have invested in their degree — college has paid off or will pay off. These mental health problems don’t surprise college students. They expect test anxiety, finals week stress and countless sleepless night throughout their college career. What college students don’t expect, though, is that help is available for all these things. Meet UTSA Counseling Services — a service most UTSA students tend not to tap into due to lack of awareness or belief that counseling isn’t relevant to them. Located across from The Rec (or in the Buena Vista building at the downtown campus), UTSA Counseling Services offers students a place to connect with mental health professionals. All enrolled students have access to 12 individual sessions to confidentially speak with a counselor. Counseling Services also provides group sessions — in which students can participate an unlimited number of times. Sessions about coping with anxiety, maintaining healthy relationships and understanding body image are available in addition to more situation-based groups like UNIDAS, which focuses on issues relevant to Latina students. For students who prefer to act rather than talk, more active group sessions like art therapy and guided meditation are also available. Individual and group counseling are popular resources, but students may not be aware of their offering of relationship counseling, free online assessments or the helpline that can be reached at any time (including holidays) at (210) 458- 4140. Ironically, the generation that has garnered popularity for the phrase hot mess is still fighting the stigma surrounding mental health issues. Though millenials tend to be more transparent regarding issues of mental health and less judgmental of others with mental health issues, stigmas aren’t resolved overnight. Active Minds’ tabling sessions include student passersby showing appreciation, but others will shy away from the topic of mental health, finding it uncomfortable to talk about. To combat this stigma, Active Minds is taking steps to mitigate the stigma surrounding mental health with the help of UTSA’s Student Health Services and UTSA’s psychology department by advocating for an online mental health curriculum that would be administered through ASAP — much like AlcoholEdu. Since UTSA was one of the colleges chosen to participate in NCHA, data will soon be available. 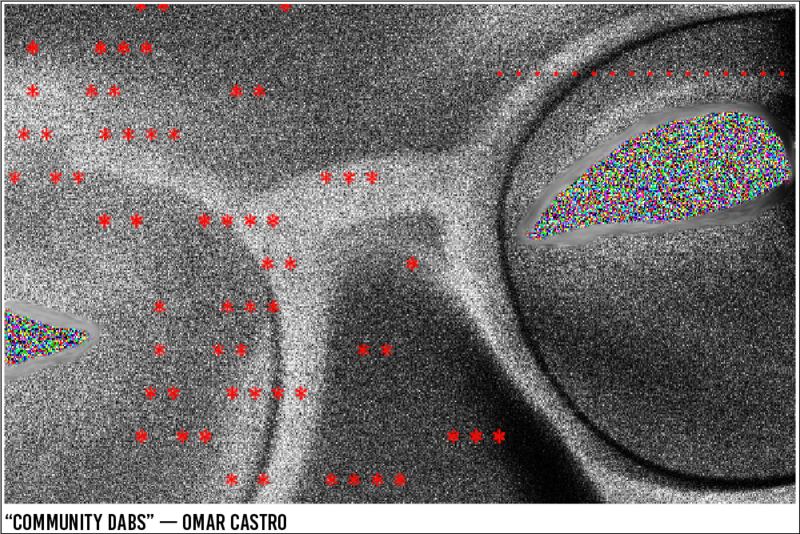 Data from UTSA psychology department’s research lab will also be included. Data representing mental health attitudes is gathered from research studies in which students are usually required to participate when taking Intro to Psychology. Once all the data is gathered, Active Minds will prepare and present the findings to administration within Academic Affairs sometime next fall. Being a hot mess — a person who embraces the perfectly imperfect lifestyle — is an art form, but also a coping mechanism for life’s rough spots. It just so happens that college students are faced with a lot of rough spots. For example, Schumer explains how her lovably disheveled character from “Trainwreck” has some darker themes. Being a hot mess can be a great way to live, but using it as a crutch for not being able to deal with the hard aspects of life can become more of a hindrance than a good time. So here’s to all the hot messes out there. The people who don’t know exactly how to deal with life, but do it anyways. There’s no shame in being a mess — just know when it may be time to clean a few things up.